Today it's time to talk about a flashpoint that shares an acronym with Lord of the Rings. Don't be confused like I sometimes I am when I see people talking about it! 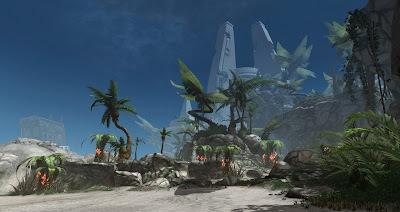 Legacy of the Rakata forms part three of the Forged Alliances story arc (which consists of four flashpoints in total) and was released as part of patch 2.10 in September 2014, which was aptly named "Forged Alliances". It wraps up the Prelude to Shadow of Revan as it is also called now, though at the time we didn't know that yet. It was originally a tactical-only flashpoint for the level cap at the time (55), received a hard and a solo mode in 3.0, and was retuned to cover a wider level range in 4.0, like most flashpoints in the game. Legacy of the Rakata takes place on Rakata Prime, which is populated by primitive Rakata, bits of wildlife, as well as Revanites and their droids. The trash generally doesn't pose any challenge, though some of the Rakata pulls feature powerful healers that can drag things out if they aren't shut down. There are three boss fights in LotR, plus a bonus boss on hardmode. 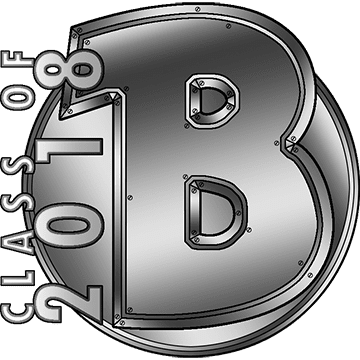 The bonus boss is actually quite challenging due to a combination of adds and powerful AoE that has to be avoided, but the "main bosses" are all fairly unexciting in terms of mechanics. First there is the Rakata War Chief Rehkta and his pet Rancor. The Rancor smacks people about and Rehkta runs around like a maniac due to being untauntable and drops puddles of fire on the floor. However, there isn't really anything you can do about any of it, aside from stepping out of the fire every so often, so it's just a matter of slowly draining the two bosses' hitpoints (and boy, do they have a lot of them). Next we have Commander Rand, a cyborg, who I suppose is moderately interesting in that he becomes invulnerable every so often, which forces you to kill a bunch of adds instead. Actually, I suppose it would be more appropriate to say that this was moderately interesting on release. Sadly that particular mechanic has since been re-used ad nauseam in several of the mini-boss fights featured in KotFE, so veteran players are probably pretty tired of it by now. Finally, Darth Arkous and Colonel Darok have more or less the same issue as the first encounter: They have a bunch of abilities but there isn't anything you can do about them other than burn the bosses down (slowly), and try to kill them at roughly the same time as one will enrage at the time of the other one's death. By the end of Depths of Manaan, you have teamed up with Theron Shan, Lana Beniko, Jakarro the smuggler and his pet droid to uncover a conspiracy hatched by the cult of the Revanites. You know that they are working on building a cyborg army based on Rakata technology, but not to what end. 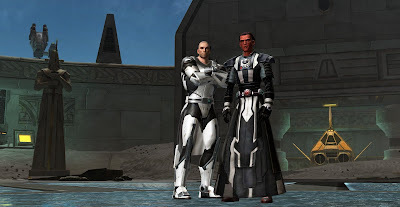 Part three of Forged Alliances starts with you entering Theron's/Lana's old office on the fleet to find it wrecked and you end up reuniting with them on Manaan instead. They've tracked down the Revanites' base of operations on Rakata Prime, where they are making use of old Star Forge debris to enhance their cyborgs. You're going to hunt them down. You land on a beach on Rakata Prime with a plan to assault the temple where the base is located. Jakarro promises to provide a distraction while Theron and Lana will monitor the situation from his ship. You successfully "sneak up" on the temple by slaughtering a whole bunch of Rakata (who have apparently been hired to be an obstacle), wild Nexu and eventually Revanites on the way. Inside the facility you find a room full of dormant cyborgs and end up talking to Theron and Lana about them on the holo. Depending on your faction, one of them sends the other way away under false pretenses, in order to be able to quietly urge you to deal with the cyborgs in their preferred way. Theron wants them destroyed via an overload so the technology won't fall into the wrong hands, while Lana wants them killed the old-fashioned way so that the tech can be preserved and stored for future use by the Empire. Regardless of your choice, you find yourself chasing Darth Arkous and Colonel Darok (the emerging baddies from the previous parts of the story) to the roof of the building, where you eventually have a big showdown. After you defeat them, a fleet suddenly pops out of hyperspace... and it turns out that it's under the leadership of Revan, who has seemingly returned from the dead to lead the Revanites into a grand new battle. After briefly chatting with you on the holo, he starts to bomb the planet and you have to board a shuttle to escape. I was really quite impressed with Legacy of the Rakata when it first came out, though over time my affection for it has somewhat diminished. I find that it scores highly in terms of first impressions, what with all the KOTOR throwbacks, the beautiful environment and the grand reveal at the end. But those are things that can't be experienced the same way on subsequent runs. In fact, I think nobody these days can experience it the way we did when it first came out, when we genuinely didn't know where it was going and who was leading the Revanites (Revan was supposed to be dead after all). These days, even if you generally try to avoid spoilers... well, the quest itself is called Shadow of Revan: Prelude! Not much room for surprises there. Legacy of the Rakata's biggest flaw in my book is that its boss fights are pretty dull. Unlike in some of the earlier flashpoints with weak bosses, it's not that the bosses have uninteresting designs or virtually no abilites, but the problem is that they have few abilities that matter, abilities that you can actually do anything about (such as avoid or counter them). They just interrupt your tank and spank routine every so often with knockbacks and stuns but that only really serves to slow you down. Still, overall I do like Legacy of the Rakata because in general I feel that its good sides outweigh the bad ones. I just consider it a missed opportunity that they couldn't make the boss fights a bit more interesting. Whilst I'd agree that Tactical fights are pretty dull, Hard Mode definitely does stress the importance of killing Darok before Arkous, due to the infernal blue circles the former places on people. If one ever went on Jakarro, woe betide anyone who found themselves in his path when he went on the rampage! I don't know if they ever fixed that issue.